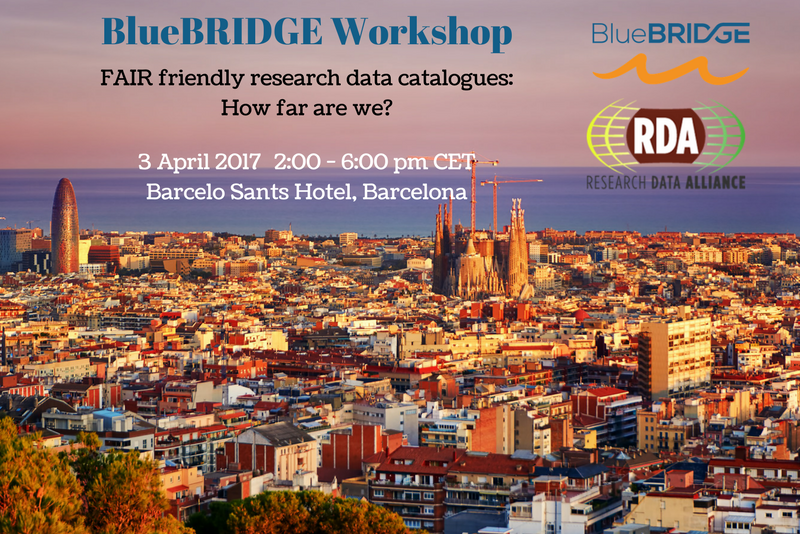 The BlueBRIDGE H2020 project recently convened a one-day workshop in Barcelona entitled “FAIR friendly research data catalogues: how far are we?”. The aim of the event was to bring together representatives of H2020 projects, e-infrastructures, data users and other European initiatives currently dealing with research data catalogues, to understand how they are approaching the FAIR principles, what status they are at and to discuss together how to move forward. The full report from the event can be downloaded here.